The Enlightenment! 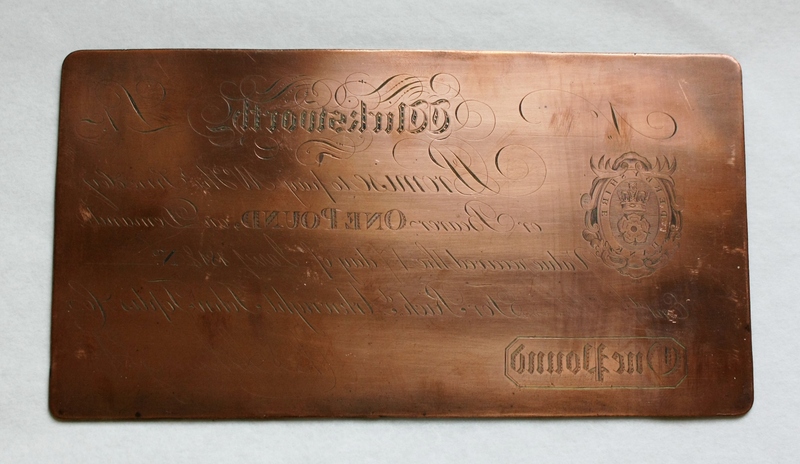 team has recently purchased two bank notes and a copper printing plate. 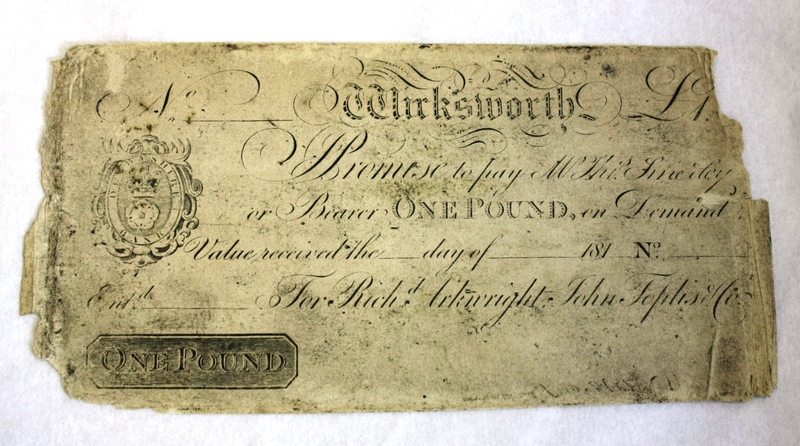 The bank note was drawn at Wirksworth on the Derbyshire Bank for Richard Arkwright, John Toplis and Co. 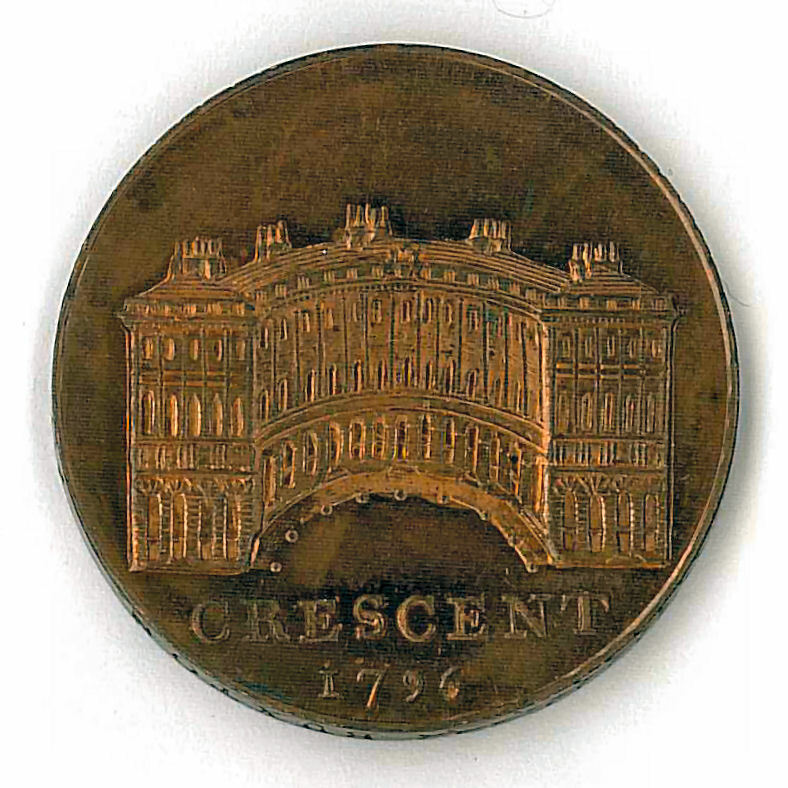 This refers to Richard Arkwright junior, son of Richard Arkwright the mill owner. 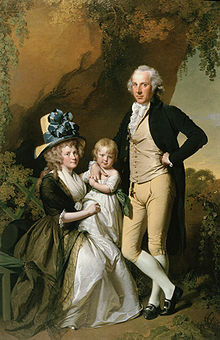 When Richard Arkwright senior died in 1792 he left much of his manufacturing business to his son Richard. Richard decided to move away from the mills and instead focus on property and the banking industry. Richard gained most of his wealth from his banking business Arkwright, John Toplis and Co. of Wirksworth. 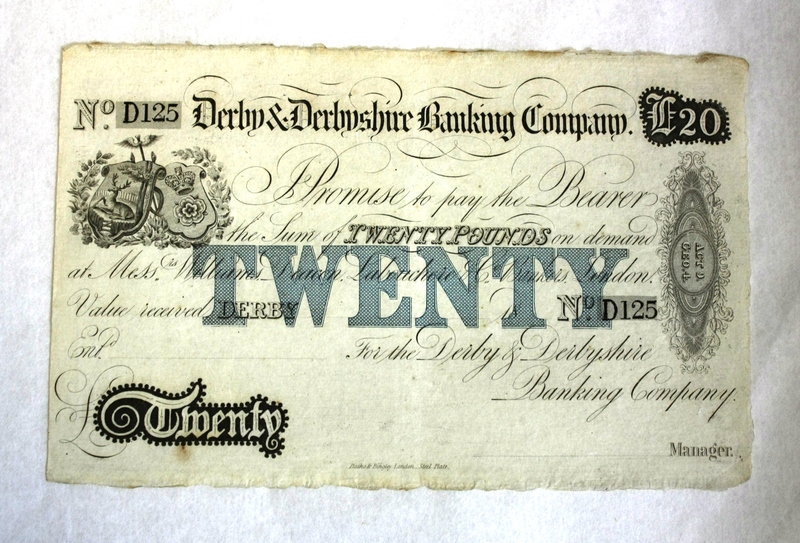 This twenty pound bank note was issued from Derby and Derbyshire Banking Co.
Richard Arkwright Junior with his wife Mary and daughter Anne. Joseph Wright. Derby Museum and Art Gallery.